To be honest, I am not use Instant Messenger very often, but I like try new stuff since I have this blog. We have many Instant Messengers, like Yahoo Messenger, MSN Messenger, ICQ, Gtalk, and more. Some companies developed some nice clients that can run cross different Instant Messengers in one place, like Pidgin, Trillian, or Digsby. 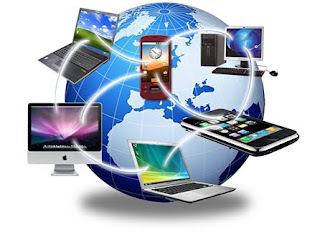 These clients can connect different Instant Messenger servers, and make you easy to contact your buddies in one place. Today, I would like to introduce another useful universal Instant Messenger client - Qnext. Qnext is a clean Instant Messenger client, it is not like Digsby that offers you a bunch of crapware while you install client. It supports MSN, ICQ, Yahoo, AIM, iChat, GTalk, and Jabber, it will support iPhone & iTouch soon. It also supports different Operation System like Windows, Mac and Linux. It is a freeware, very easy to install and use, you have to register an account with Qnext, then you can add your other Instant Messenger's account to main client. That is all you have to do, after that you can contact your friends in one place.